Clare Mackintosh gave us a killer debut novel with I Let You Go, so I was thrilled to discover a second book was to follow with relative speed. As most fans of I Let You Go, I wondered how the author would deal with second book syndrome and I have to say, pretty damn well. 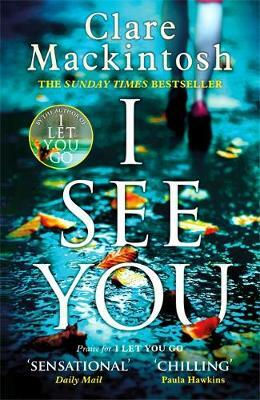 I was lucky enough to be present at an event with the author earlier in the year, where she read us the first chapter of I See You, leaving the audience salivating after just a few minutes. And that is how I felt at the end of almost every chapter. It gripped every part of my imagination, it made me feel uneasy - how true our weakness for 'routine' in our lives is and how this can make us so very vulnerable, I could not stop turning the pages. Based on main character Zoe, we are entered into a dirty underworld whereby women's identities are literally put up for sale - but not to their knowledge. When Zoe sees a picture of herself in an advert she has no clue as to why but with steely determination to discover why, we are taken on a journey which puts everyone as a potential suspect in the web she slowly unravels. Along with her on this journey is Kelly, a somewhat disgraced Police Officer who has been put on Neighbourhood Policing but is itching to get back into more serious crime. She comes across Zoe's call by chance and with nothing to go on but gut instinct she also suspects something more sinister is going on than meets the eye. Eventually she manages to get assigned to the case with DI Rampello and I enjoyed the pairing of the two officers. Kelly also has an interesting back story of her own, which gave a good interlude to the main plot. It demonstrates she isn't always inclined to play by the book, which, when everyone else is doubting Zoe and her version of events, Zoe finds she really needs. Again, what I love about Clare Mackintosh as a writer is she does not bog you down in police procedure, but gives you just enough to keep you engaged and flying along the plot with speed. It must be one of the hardest things as a writer, to get that balance right. For the most part the story is seen from the eyes of Zoe and the police team, but sporadically we hear another voice. The voice of the perpetrator. Menacing and cold it sent chills down my spine and I had absolutely no clue who that person was until it was revealed right at the very end. It left me very unsettled, a sure sign of a good book. This is another complex novel which Clare Mackintosh has managed to deliver so it is both thrilling and effortless to read. 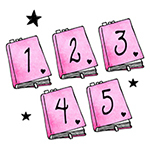 I couldn't get enough of it and I am already on tenterhooks for book number three!